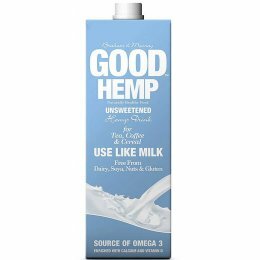 Good Hemp Nutrition a wide range of delicious and natural Hemp fitness shakes, foods and drinks. Started by friends Henry Braham and Glynis Murray, they have been growing Hemp at Collabear Farm in Devon for over 10 years and are experts at developing Hemp products for food and sports nutrition market. 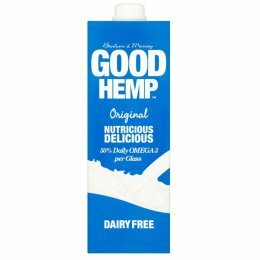 The Good Hemp Nutrition shakes are idea for a number of different goals, from bodybuilding, weight loss, sports endurance to general wellbeing. 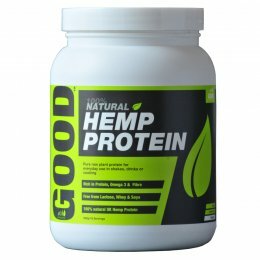 The shakes contain hemp protein which is grown without any herbicides or pesticides right here in the UK. No preservatives or other chemicals are used in the production process. It is the most natural and complete, plant-based protein available.